The next administration should implement reforms in the healthcare sector by requiring more private sector participation, former Health Secretary Enrique Ona said. This will help the government expanding access to quality affordable healthcare, especially among the poor and underserved. “The next administration must provide additional opportunities for these partnerships,” Ona said at the 9th Ayala-University of the Philippines School of Economics (UPSE) Forum. Speakers also included UPSE Dean Orville Solon, and UPecon-Health Policy Development Program (HPDP) consultant Alejandro Herrin who tackled practical reforms for PhilHealth, the country’s health insurance program. 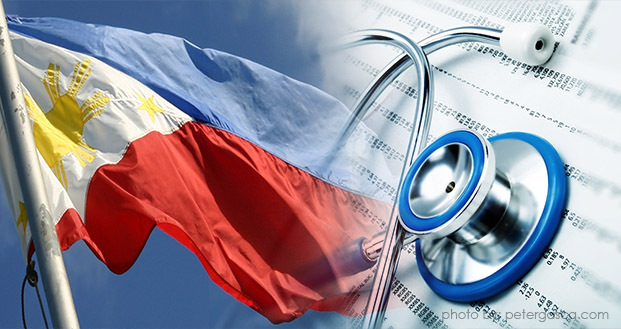 Solon and Herrin suggested implementing socialized pricing in government health facilities and increasing public subsidies for health, especially for lower-income families. They said that changes are needed in the country’s healthcare structure, such as the highly fragmented local health financing and delivery systems. “We probably have sufficient public funds to take care of the needs of the poor. The problem is that it’s everywhere. The value of it in terms of leveraging purchasing is weakened,” said Solon. Speakers also cited low pay for government workers, which make it hard to attract competent health reform managers, and the lack of information to track progress of reforms as among the fundamental weaknesses of the government’s healthcare program. “I’m glad to see that, finally, a good number of big corporations are now investing and participating in the care of those [who cannot afford to spend much],” said Ona. Edwin Mercado, President and CEO of QualiMed, an Ayala Land affiliate, said that the private sector perspective should also be included in the capacity planning of government agencies. Mercado cited some obstacles for private sector participation such as non-streamlined taxation policies, insufficient cost coverage of PhilHealth’s healthcare packages, schedule of licensing of medical facilities, and benefit availment in DTI-BOI such as duty-free importation of medical equipment and systems. “For the government to be efficient, responsive, and meet the growing needs of the population, we can work together in the articulation of a single vision which can be achieved by working on parallel goals,” he said. Paolo Borromeo, Ayala Corporation Managing Director and Ayala Health President, reported that Ayala Corporation is committed to investing more in healthcare. In July 2015, Ayala Health acquired a 50% stake in Generika, a pioneer in the retail distribution of affordable quality generic medicines with over 580 stores. Ayala Health is also piloting community-based primary care clinics under the brand FamilyDOC. It aims to make quality primary care more accessible to the growing middle class. The Ayala-UPSE Economic Forum is a quarterly event supported by Ayala Foundation and the University of the Philippines – School of Economics, which aims to raise the level of public debate on issues and potential solutions concerning the Philippine economy.